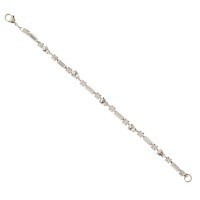 A delicate and elegant crystal bracelet by Martine Wester which is a Limited Edition. Rougly 23 Austrian and Czech clear crystals form this versatile bracelet for nights out or special occasions such as a brides wedding day. 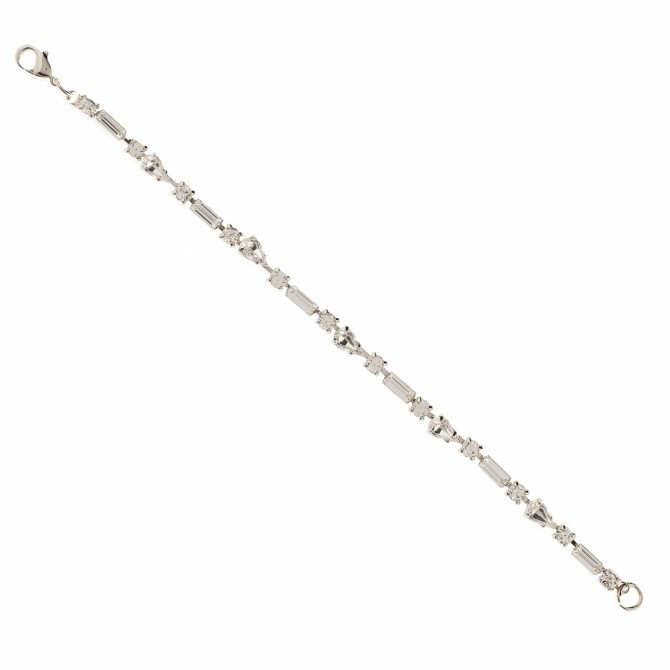 The bracelet length is 175mm which is fastened with a lobster clasp. The bracelet weighs 8gs so very light weight. This would make a lovely gift with the matching necklace but be quick this is a limited edition and we have only a small stock amount. Base Metal with Palladium Plating. Mixture of Swarovski, Austrian and Czech Crystals.